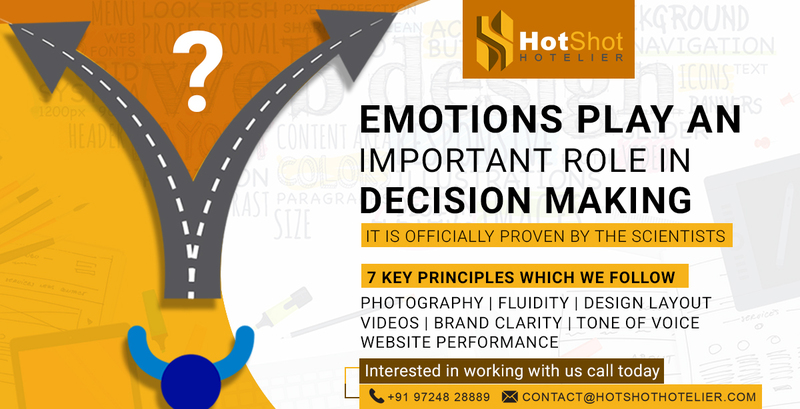 Emotions play an important role in decision making, and it is officially proven by the scientists. Human mind is very powerful thing and it generates emotions that can sway the person one way or another. And this fact is clinically proven by the doctors, that emotions do play an important role in decision making process. 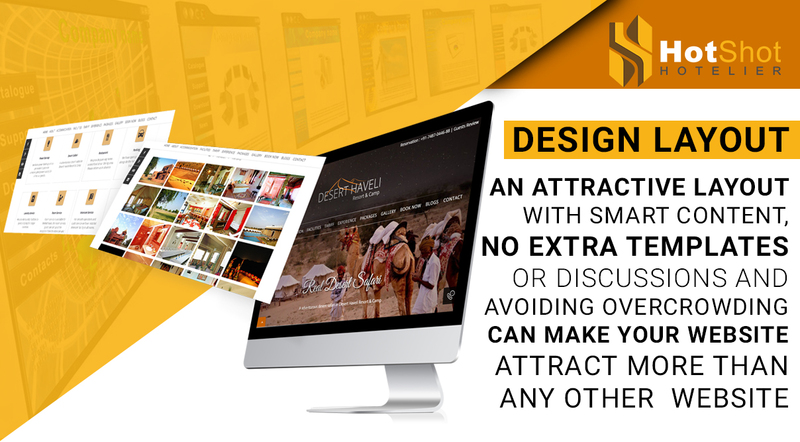 We, at Hotshot Hotelier always try to create custom websites according to our client. Our websites speak about our client, his senses, emotions, and it actually works well. There are many important factors people consider before making online booking. The money factor is surely an important one, but the way accommodation options and other facilities are presented on website, also affects his emotional decision to upgrade for higher category or making the stay longer and fully inclusive. And that is the main reason your website should be emotionally connected with your guests. This is an era of mechanical learning, and the knowledge of consumer behaviour can be learned from that. And with the use of that data, we can understand our clients and their emotional needs and behaviour well, which can in turn increase the business. As we all know, human brain can catch visuals 90% faster than the written text. 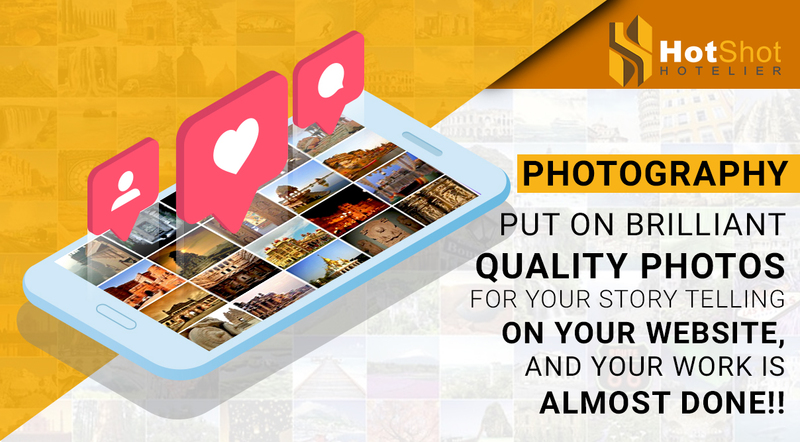 Put on brilliant quality photos for your story telling on your website, and your work is almost done!! 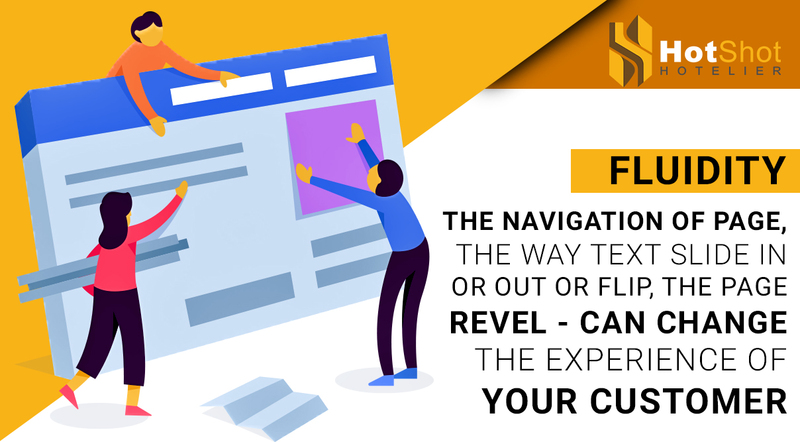 The navigation of page, the way text slide in or out or flip, the page revel – can change the experience of your customer. Make it more exciting and it will make your website super engaging. An attractive layout with smart content, no extra templates or discussions and avoiding overcrowding can make your website attract more than any other website. 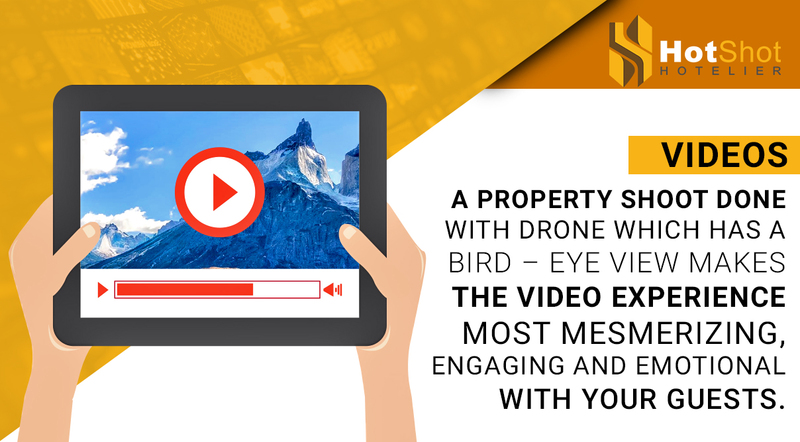 A property shoot done with drone which has a bird – eye view makes the video experience most mesmerizing, engaging and emotional with your guests. Just make sure it is blended seamlessly in to the website design and there are no extra popup windows. The most difficult thing for us is to make it easy for the guests to make them understand what we are offering them – that can be memorable for them. 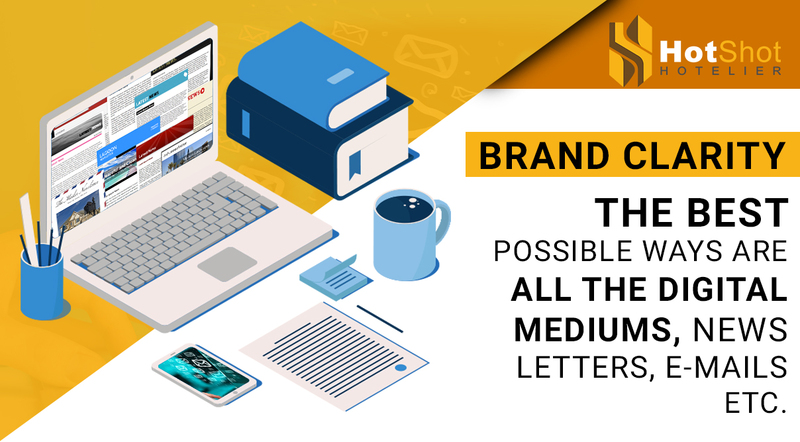 The best possible ways are all the digital mediums, newsletters, e-mails etc. Always be clear about this aspect. 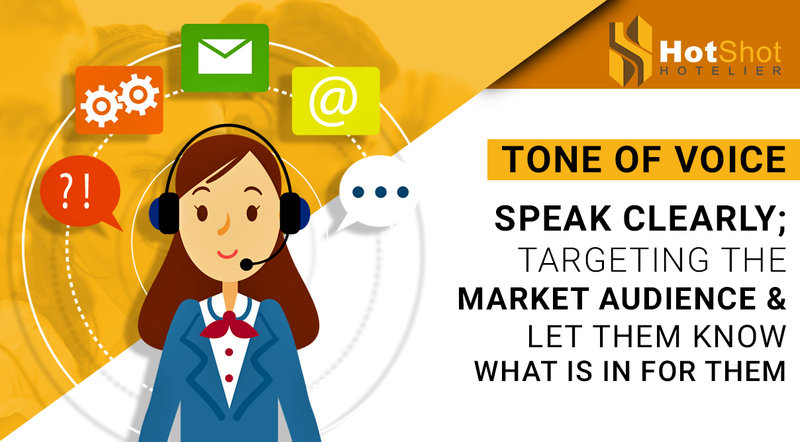 Speak clearly; targeting the market audience and let them know what is in for them. We always use intelligent statements like, “Get most comfortable accommodation in budget rates exclusively for you” instead of using lines like “Cheap hotels with large and spacious rooms”. Trust us, we have got many of them for our clients! 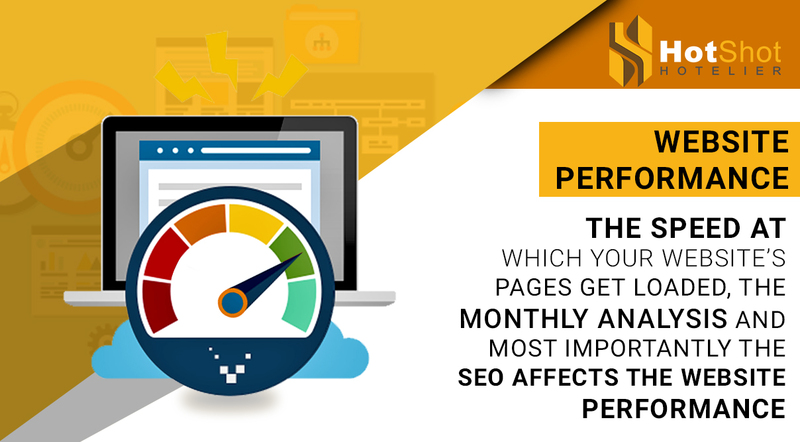 The speed at which your website’s pages get loaded, the monthly analysis and most importantly the SEO affects the website performance. When it comes to hotels, there are plenty of ways to boost your search engine. Give us a call, our SEO experts will be more than happy to help you out, plus their tracking and results will be like cherry on the top. Interested in working with us?? Visit our website www.hotshothotelier.com or send us an e-mail at contact@hotshothotelier.com.